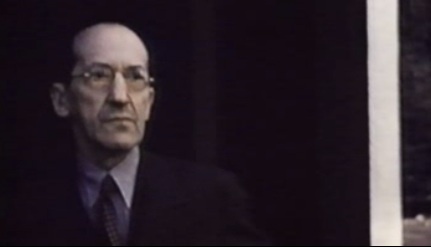 A really unique thing: the Dutch history television program Andere Tijden found the only existing movie footage of Piet Mondrian (or Mondriaan, as we like to call him in Holland). 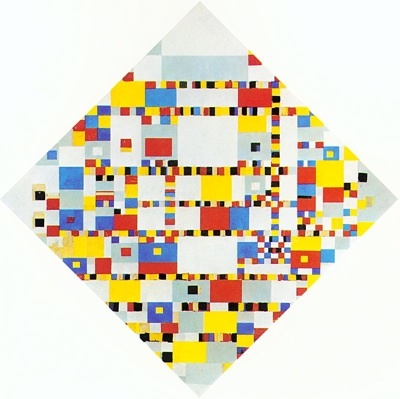 The movie is found at the same time a two-year research project on Mondrian’s last piece, the Victory Boogie Woogie (pictured below), ended. My final project for my study (the European Master of Media Arts at the Utrecht school of the arts) was a short 15-minute movie about Mondrian, so you might imagine i am quite excited about this discovery. You can view the 16-second movie clip here.